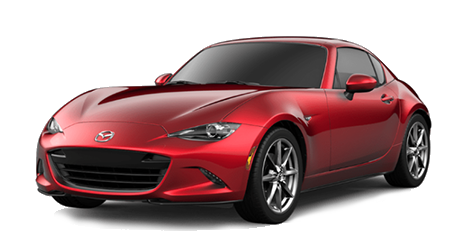 New Mazda Special Offers from Cutter Mazda in Waipahu, HI are currently available now. 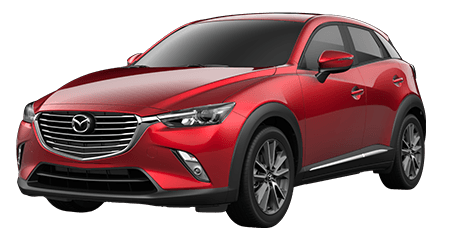 Drive off in a new Mazda 6 or CX-3 after visiting our inventory. You deserve to get behind the wheel of a snazzy new Mazda sedan. Why not take advantage of a vehicle that's not only digitally enhanced, but reasonably priced? 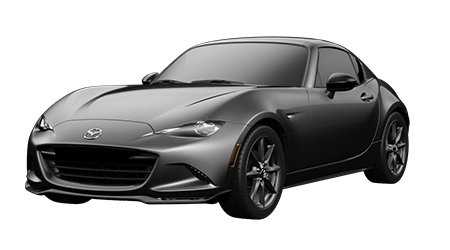 You can even apply for financing with our secure application and take advantage of even more Cutter Mazda Waipahu savings! Contact our team to schedule a test drive and see which new car special will benefit you. We look forward to serving customers from Oahu, Hawaii and beyond. 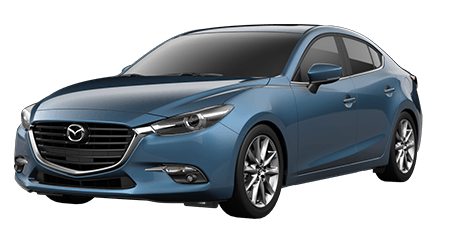 2019 Mazda3 Sedan (FWD/Automatic) MSRP $21,000 plus $920 destination charge. (Excludes optional packages, taxes, title and fees). Payment based on capitalized cost of $19,496 after $15 Mazda Customer Lease Support. Total payments of $9,194. Dealer participation required. Not all lessees will qualify for lowest payment through participating lender. Some payments higher, some lower based on residency and other factors. Lessee responsible for excess wear and mileage over 36,000 at $0.15/mile. Purchase option at lease end for $10,960 plus tax or price negotiated at signing. Take new retail delivery from dealer stock by 4/30/2019. Residency restrictions may apply. See participating dealer for qualifications. 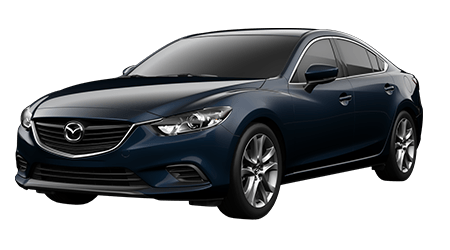 2019 Mazda3 Sedan (FWD/Automatic) MSRP $21,000 plus $920 destination charge. (Excludes optional packages, taxes, title and fees). Payment based on capitalized cost of $19,496 after $15 Mazda Customer Lease Support. Total payments of $9,194. Dealer participation required. Not all lessees will qualify for lowest payment through participating lender. Some payments higher, some lower based on residency and other factors. Lessee responsible for excess wear and mileage over 36,000 at $0.15/mile. Purchase option at lease end for $10,960 plus tax or price negotiated at signing. Take new retail delivery from dealer stock by 4/30/2019. Residency restrictions may apply. See participating dealer for qualifications. 2019 Mazda3 Hatchback (FWD/Automatic) MSRP $23,600 plus $920 destination charge. (Excludes optional packages, taxes, title and fees). Payment based on capitalized cost of $22,111 after $0 Mazda Customer Lease Support. Total payments of $12,750. Dealer participation required. Not all lessees will qualify for lowest payment through participating lender. Some payments higher, some lower based on residency and other factors. Lessee responsible for excess wear and mileage over 36,000 at $0.15/mile. Purchase option at lease end for $10,603 plus tax or price negotiated at signing. Take new retail delivery from dealer stock by 4/30/2019. Residency restrictions may apply. See participating dealer for qualifications. 2019 Mazda3 Hatchback (FWD/Automatic) MSRP $23,600 plus $920 destination charge. (Excludes optional packages, taxes, title and fees). Payment based on capitalized cost of $22,111 after $0 Mazda Customer Lease Support. Total payments of $12,750. Dealer participation required. Not all lessees will qualify for lowest payment through participating lender. Some payments higher, some lower based on residency and other factors. Lessee responsible for excess wear and mileage over 36,000 at $0.15/mile. Purchase option at lease end for $10,603 plus tax or price negotiated at signing. Take new retail delivery from dealer stock by 4/30/2019. Residency restrictions may apply. See participating dealer for qualifications. MSRP $23,000 plus $895 destination charge. 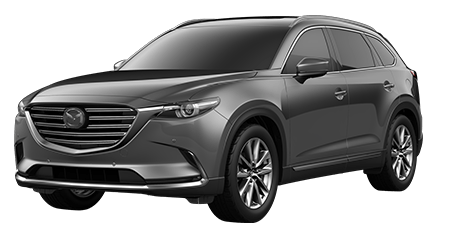 Payment based on capitalized cost of $21,011 after $325 Mazda Customer Lease Support. Total payments of $8,836. Dealer participation required. Not all lessees will qualify for lowest payment through participating lender. Some payments higher, some lower based on residency and other factors. Lessee responsible for excess wear and mileage over 36,000 at $0.15/mile. Purchase option at lease end for $12,186 plus tax or price negotiated at signing. Take new retail delivery from dealer stock by 4/30/2019. Residency restrictions may apply. See participating dealer for qualifications. MSRP $23,000 plus $895 destination charge. Payment based on capitalized cost of $21,011 after $325 Mazda Customer Lease Support. Total payments of $8,836. Dealer participation required. Not all lessees will qualify for lowest payment through participating lender. Some payments higher, some lower based on residency and other factors. Lessee responsible for excess wear and mileage over 36,000 at $0.15/mile. Purchase option at lease end for $12,186 plus tax or price negotiated at signing. Take new retail delivery from dealer stock by 4/30/2019. Residency restrictions may apply. See participating dealer for qualifications. MSRP $20,390 plus $1,045 destination charge. Payment based on capitalized cost of $19,256 after $0 Mazda Customer Lease Support. Total payments of $8,115. Dealer participation required. Not all lessees will qualify for lowest payment through participating lender. Some payments higher, some lower based on residency and other factors. Lessee responsible for excess wear and mileage over 36,000 at $0.15/mile. Purchase option at lease end for $11,789 plus tax or price negotiated at signing. Take new retail delivery from dealer stock by 4/30/2019. Residency restrictions may apply. See participating dealer for qualifications. MSRP $20,390 plus $1,045 destination charge. Payment based on capitalized cost of $19,256 after $0 Mazda Customer Lease Support. Total payments of $8,115. Dealer participation required. Not all lessees will qualify for lowest payment through participating lender. Some payments higher, some lower based on residency and other factors. Lessee responsible for excess wear and mileage over 36,000 at $0.15/mile. Purchase option at lease end for $11,789 plus tax or price negotiated at signing. Take new retail delivery from dealer stock by 4/30/2019. Residency restrictions may apply. See participating dealer for qualifications. MSRP $24,350 plus $1,045 destination charge. Payment based on capitalized cost of $21,741 after $1,665 Mazda Customer Lease Support. Total payments of $8,837. Dealer participation required. Not all lessees will qualify for lowest payment through participating lender. Some payments higher, some lower based on residency and other factors. Lessee responsible for excess wear and mileage over 36,000 at $0.15/mile. Purchase option at lease end for $14,729 plus tax or price negotiated at signing. Take new retail delivery from dealer stock by 4/30/2019. Residency restrictions may apply. See participating dealer for qualifications. MSRP $24,350 plus $1,045 destination charge. 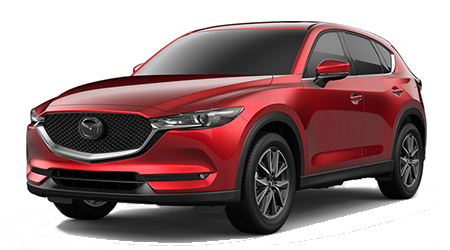 Payment based on capitalized cost of $21,741 after $1,665 Mazda Customer Lease Support. Total payments of $8,837. Dealer participation required. Not all lessees will qualify for lowest payment through participating lender. Some payments higher, some lower based on residency and other factors. Lessee responsible for excess wear and mileage over 36,000 at $0.15/mile. Purchase option at lease end for $14,729 plus tax or price negotiated at signing. Take new retail delivery from dealer stock by 4/30/2019. Residency restrictions may apply. See participating dealer for qualifications. MSRP $32,280 plus $1,045 destination charge. Payment based on capitalized cost of $30,696 after $0 Mazda Customer Lease Support. Total payments of $12,774. Dealer participation required. Not all lessees will qualify for lowest payment through participating lender. Some payments higher, some lower based on residency and other factors. Lessee responsible for excess wear and mileage over 36,000 at $0.15/mile. Purchase option at lease end for $18,995 plus tax or price negotiated at signing. Take new retail delivery from dealer stock by 4/30/2019. Residency restrictions may apply. See participating dealer for qualifications. MSRP $32,280 plus $1,045 destination charge. Payment based on capitalized cost of $30,696 after $0 Mazda Customer Lease Support. Total payments of $12,774. Dealer participation required. Not all lessees will qualify for lowest payment through participating lender. Some payments higher, some lower based on residency and other factors. Lessee responsible for excess wear and mileage over 36,000 at $0.15/mile. Purchase option at lease end for $18,995 plus tax or price negotiated at signing. Take new retail delivery from dealer stock by 4/30/2019. Residency restrictions may apply. See participating dealer for qualifications.